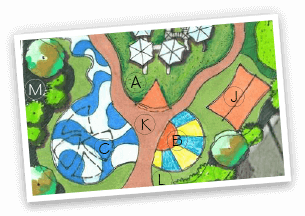 The Recreational Group designs innovative golf solutions for both residential and commercial applications. From backyard putting greens to unique client amenities, the talented staff at Tour Greens can transform your space into a golfer’s paradise. Tour Greens designs and installs tour-quality golf greens that look, feel and perform like well-maintained bent grass greens - you can even check up well-struck pitch shots. Green speeds and contours can also be customized to match your preference. 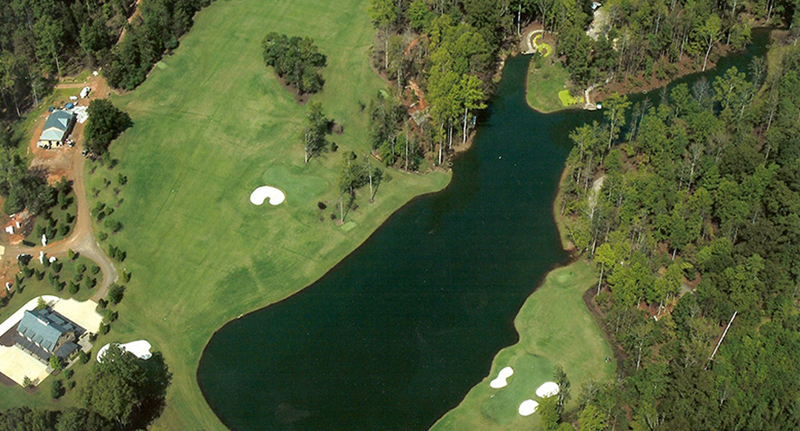 Tour Greens designs and installs synthetic turf golf courses that substantially lower the ongoing upkeep requirements and costs of natural greens. 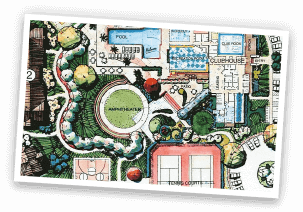 Tour Greens synthetic turf golf courses can be installed as a unique, low-maintenance amenity at any golf club, retirement community, resort or park. 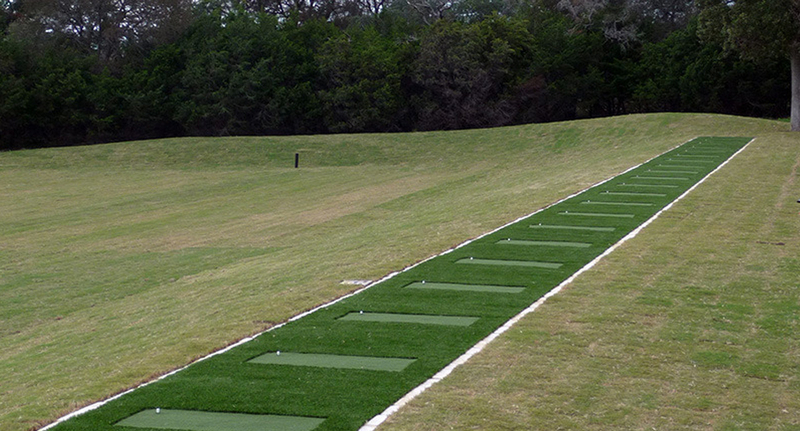 Tour Greens understands that proper tee lines and hitting mats are essential to player’s success and we offer the most resilient and realistic turf options on the market. Tour Greens mats and tee lines closely resemble natural grass in terms of both look and feel and can even hold real tees. 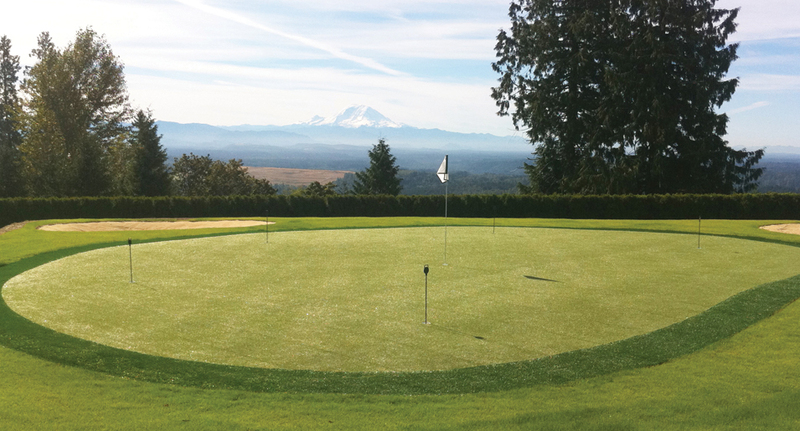 Tour Greens designs and installs practices facilities on which athletes can practice year-round, while mimicking the feel and performance of natural golf greens. 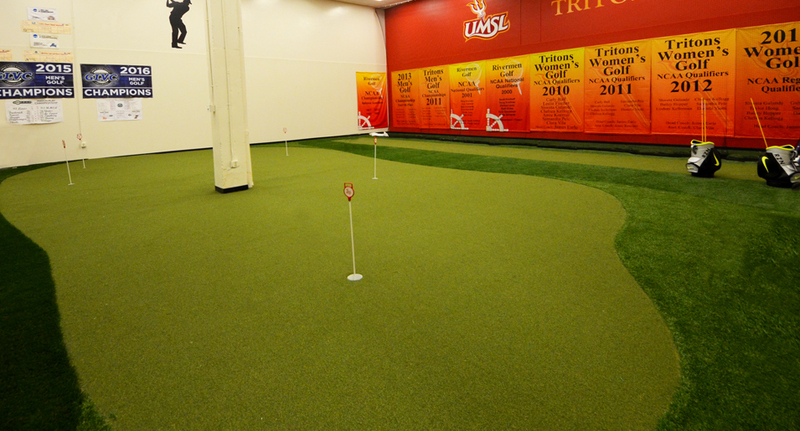 Synthetic turf putting courses are the perfect, low-maintenance amenity for hotels, resorts, and retirement communities. 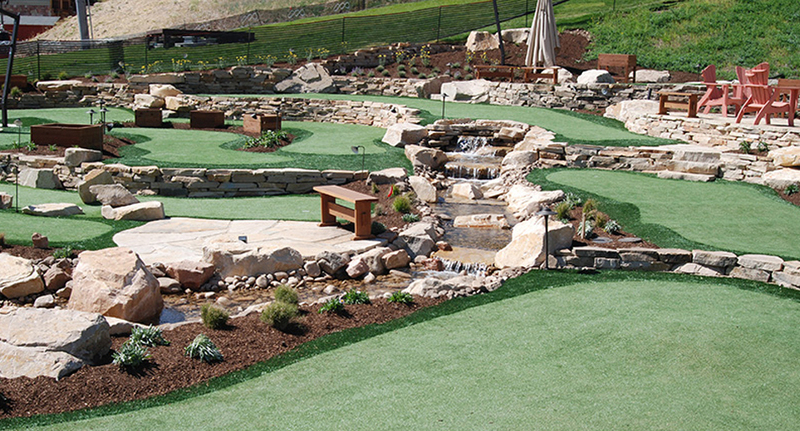 The vibrant and natural look of Tour Greens putting courses makes an excellent addition to any landscape and will sure to be a hit with your residents and guests.